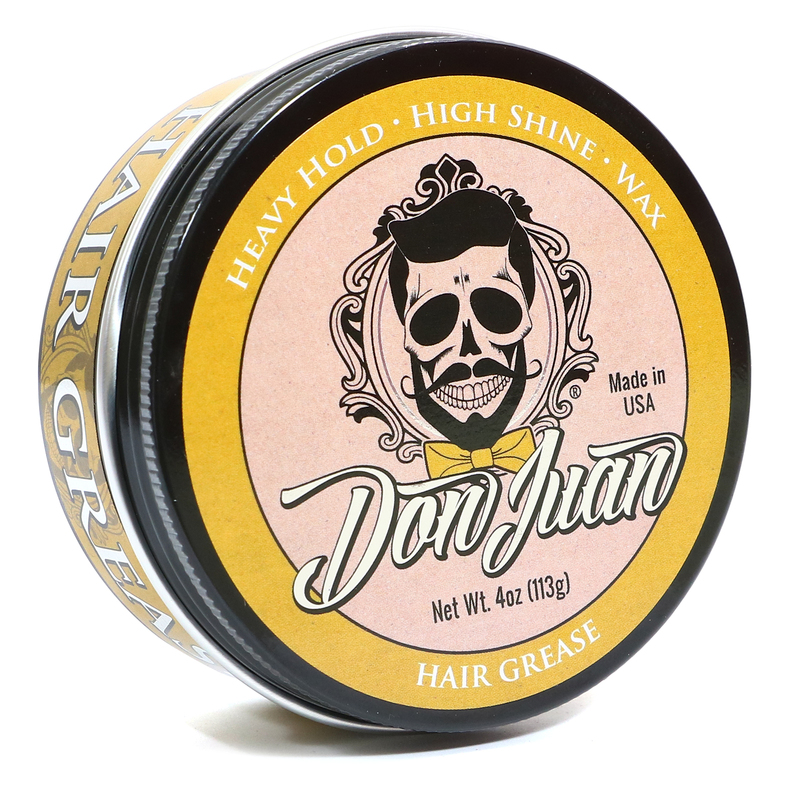 Formulated and handcrafted by Lockhart's Authentic Grooming Co. for Don Juan. 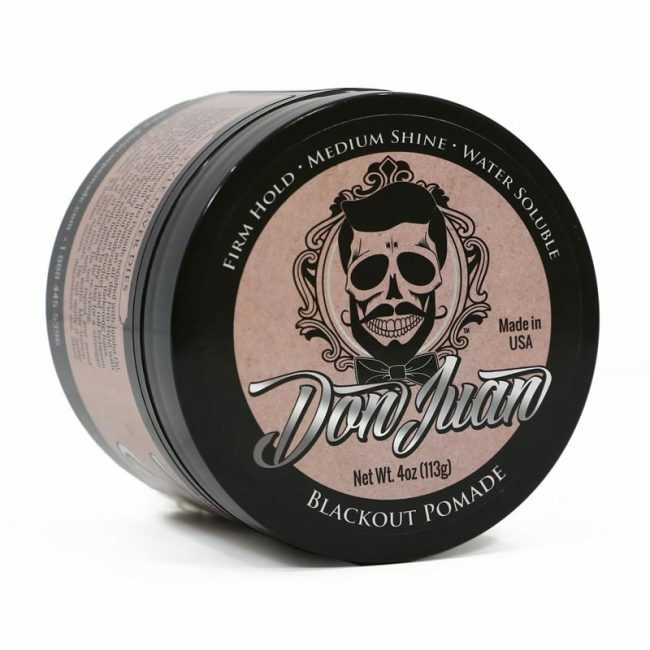 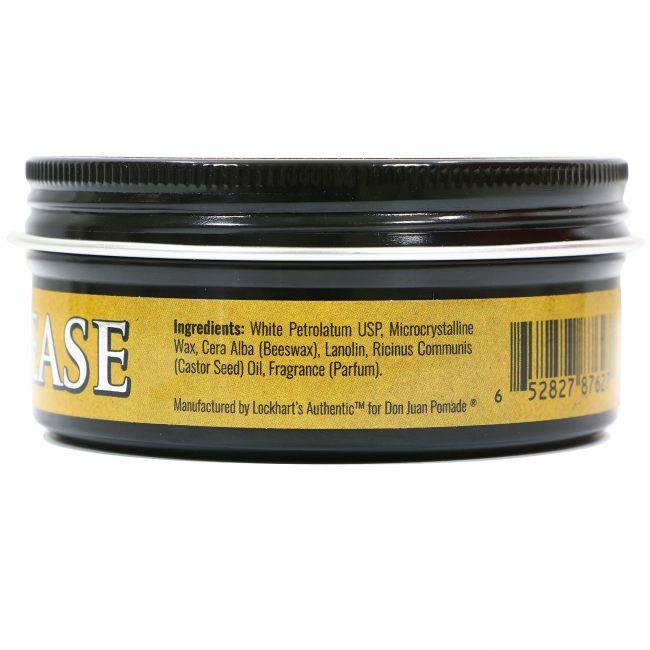 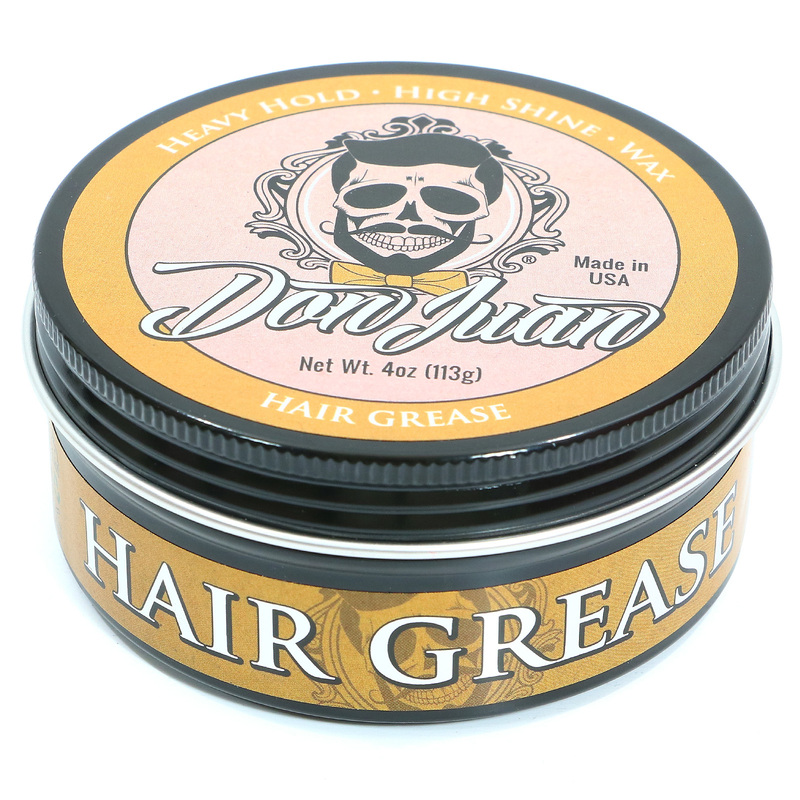 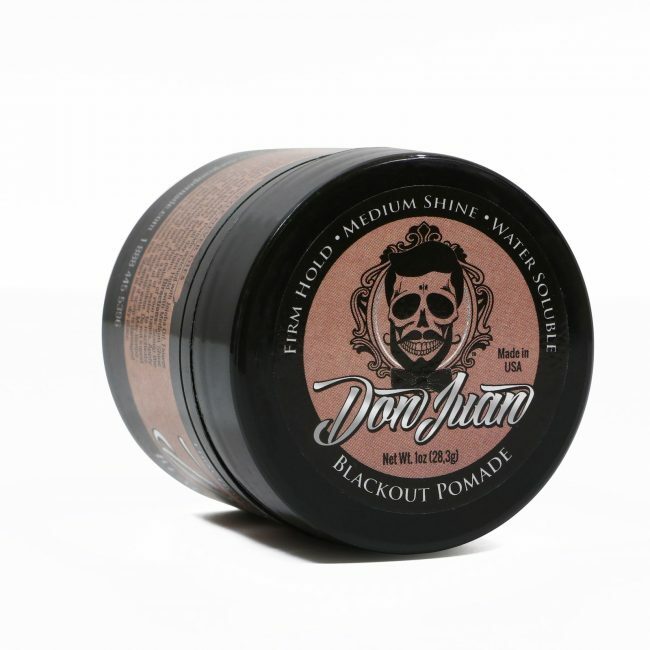 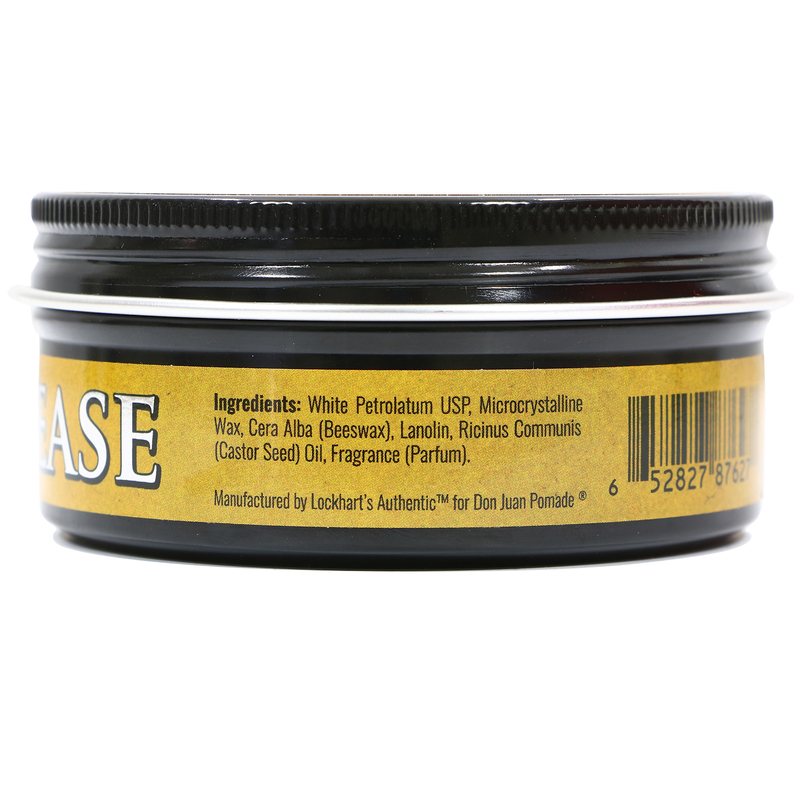 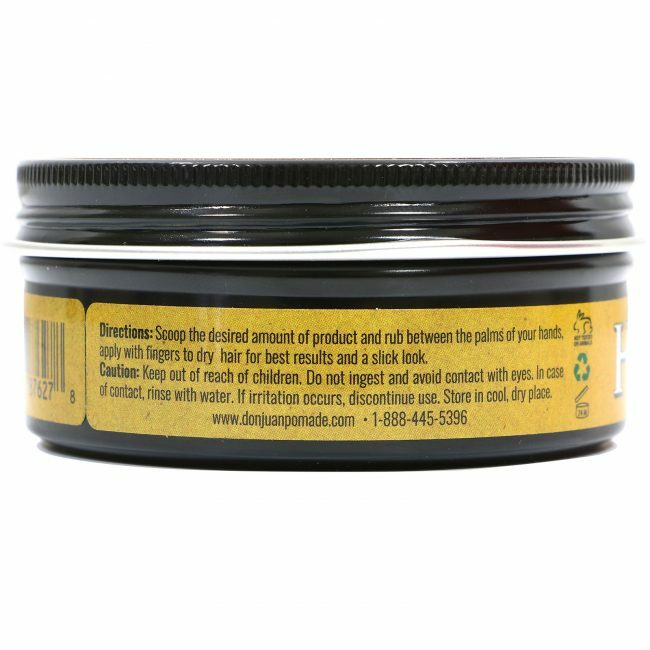 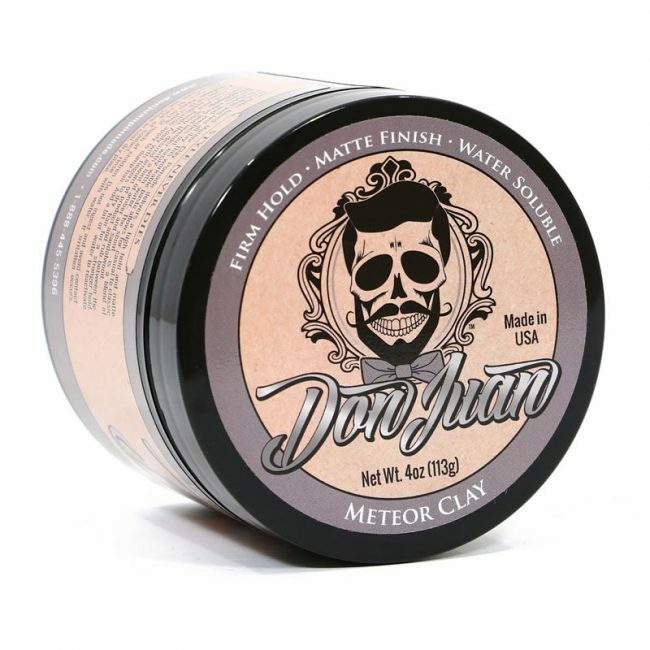 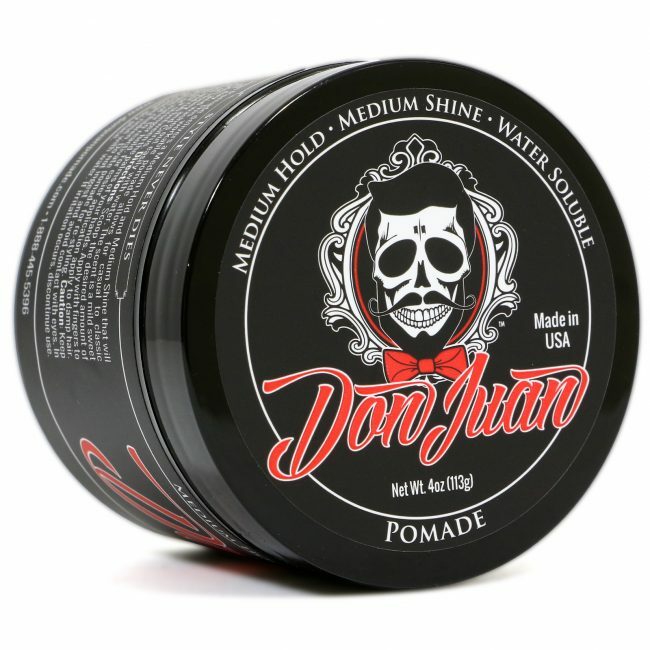 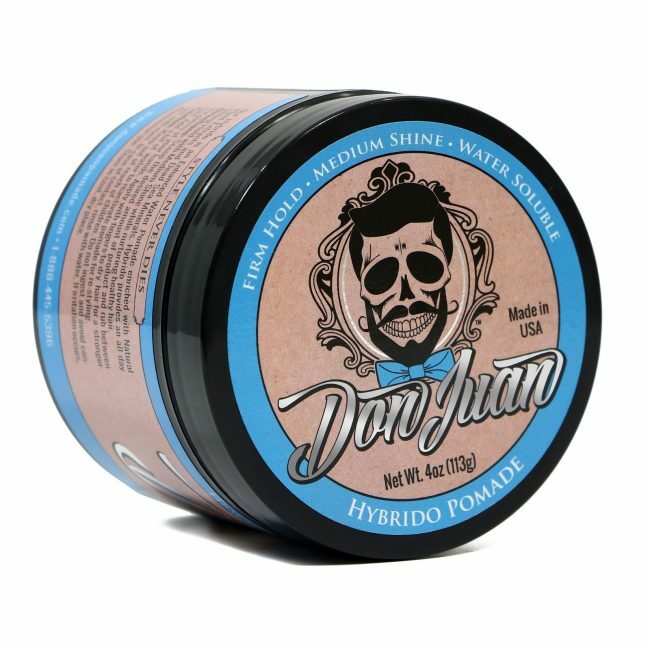 Our Don Juan Hair Grease is a wax based pomade that provides a heavy hold with high shine. 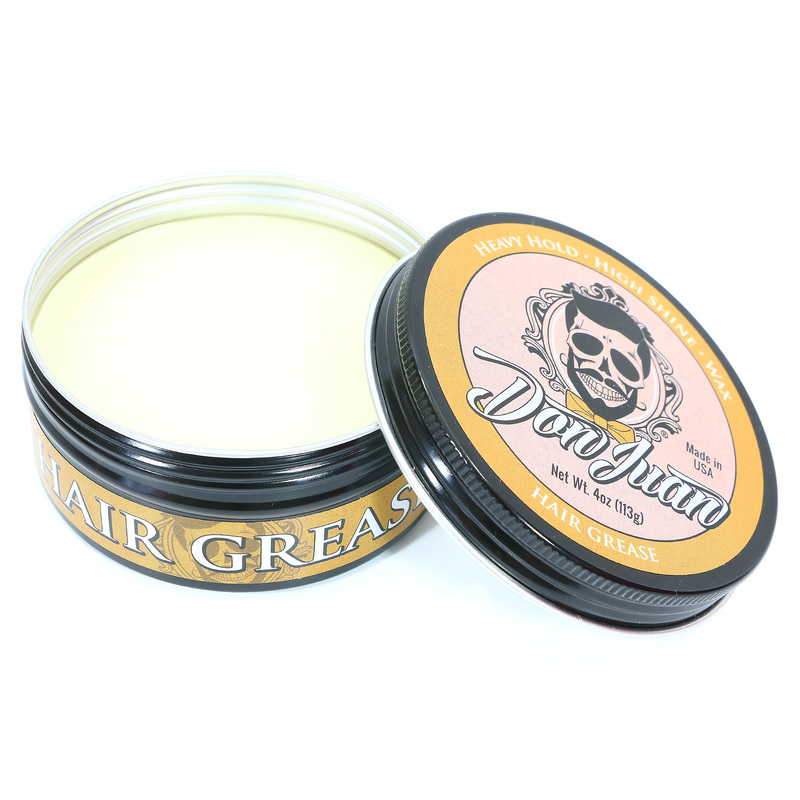 Citrus scented with notes of Bayrum. 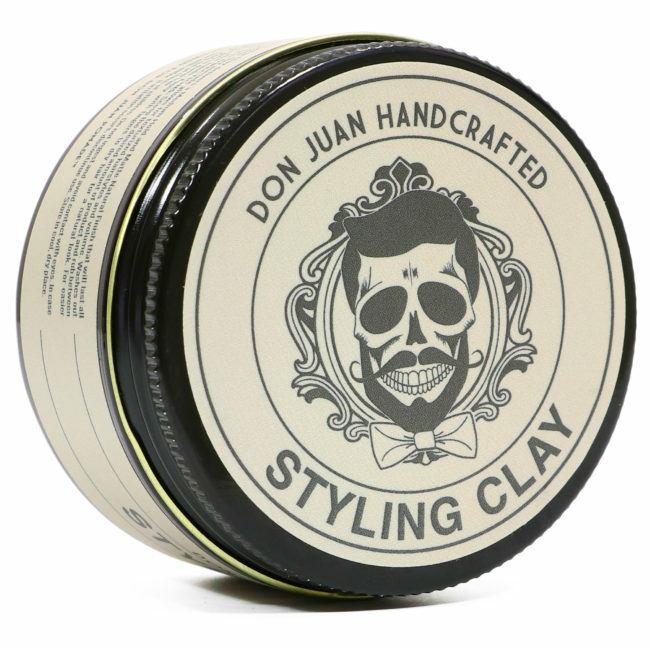 Ideal for slickbacks, pompadours, and many other styles.